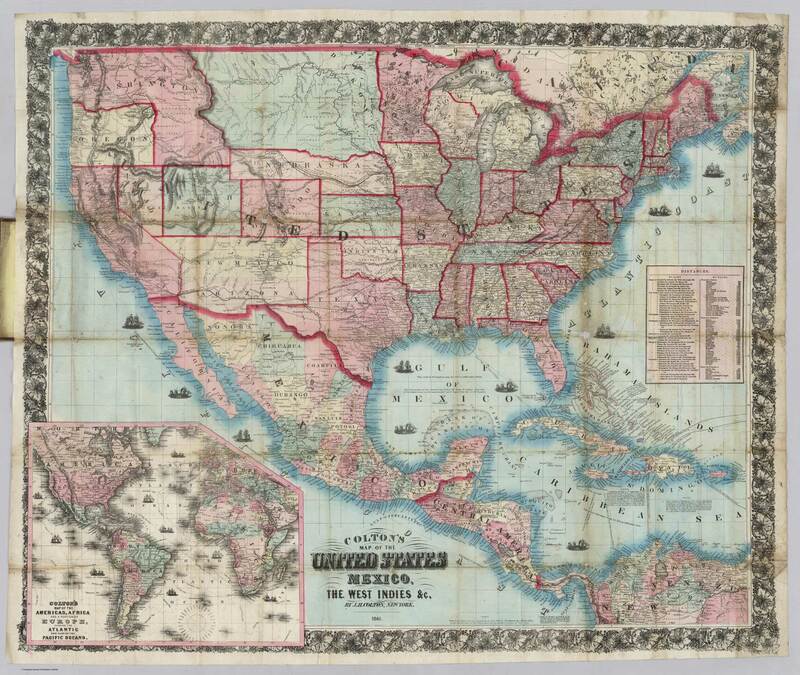 Full Title Colton's Map Of The United States, Mexico, The West Indies, &c. 1861. Entered ... 1860 by J.H. Colton ... New York. (inset) Colton's Map Of The Americas, Africa And A Portion Of Europe, Showing The Atlantic And Part Of The Pacific Oceans. Publisher By J.H. Colton, New York. Copywrite Entered ... 1860 by J.H. Colton ... New York. (inset) Colton's Map Of The Americas, Africa And A Portion Of Europe, Showing The Atlantic And Part Of The Pacific Oceans.